In Sailor Moon, when Usagi finally married her beloved Mamoru, she wore a pink heart-shaped stone offset by jewels. 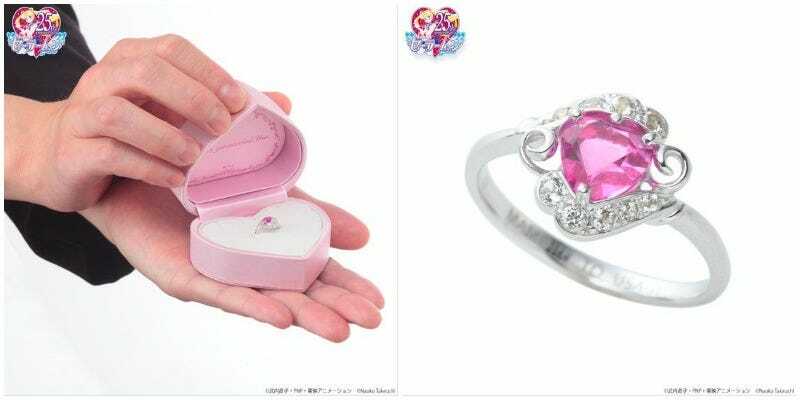 Now, Bandai is making real-life versions of that ring. Priced at 162,000 yen ($1,486), the ring is made from platinum and made in Japan. The heart-shaped jewel is synthetic corundum, while the smaller stones are 0.13ct diamonds.